Looking for Barbara, Ian is ambushed � staked out in the sand and daubed with honey so that the ants will eat him. With Ian unable to help, Barbara is captured by the cruel warlord El Akir. Even if Ian escapes and rescues her, will they ever see the Doctor, Vicki and the TARDIS again? 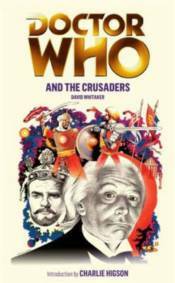 This novel is based on a Doctor Who story which was originally broadcast from 27 March�17 April 1965.